Ever Considered Going Global With Your Business? If you are running a successful business in your own country and have not yet considered going global, then it might be the right time to do so. Never considered it before? Well, it is not as difficult as you might think. Go slow and easy at first and start promoting your company overseas through your company’s website. Don’t worry if you haven’t localized your website yet. There are highly experienced translation service companies like The Marketing Analysts Translation Services which can carry out the task of website translation at negotiable rates. Alright, so it is difficult for you to decide where to start because your website is loaded with content. You also have a limited budget and getting the whole website localized in a language can wreak havoc on any budget. Relax! Sift through the content on your website and prioritize the most important content to be translated. To figure out which pages of your website are frequently visited by customers simply log into your analytics account. It’s likely that your marketing pages of your website should be the first to be localized. Next you need to carefully review your budget to decide how many languages you can localize. In the opinion of a Chinese translator working for theThe Marketing Analysts Translation Services, it might be a good idea to get your website localized in one language at a time. Consider the nature of the products your company sells and determine which country will be a thriving market for your products. Say your company manufactures farming implements and machinery. It will be best to localize your website for agricultural countries like Pakistan and Bangladesh etc. where farming implements are mainly imported from other countries. As your business expands and you have international customers buying your products, you will have the resources to get your website translated and localized in other languages as well. You must also remember that it might take a few months for your products to be internationally recognized after the localization of your website. You will be disappointed if you are expecting a sudden flow of international customers visiting your website and ordering your products. Patience and perseverance is the name of the game. So don’t go all fidgety once your website translation is done. Some firms don’t need every page of their website translated. It will be a useless exercise and could cost a fortune. Sift through your website’s content and decide which is most useful. Going global isn’t that difficult. You just need to take an initiative. There are translation companies out there which will do the rest of the work. 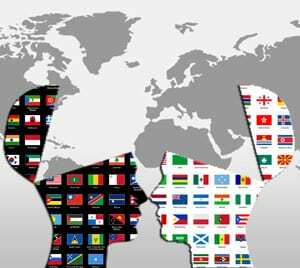 With cross-cultural communication having reached to the nth degree as a result of globalization, the role of language translators has also changed to a certain degree. Legal translators are working now as mediators between concerned parties. An important aspect of today’s world of international business is the translation of advertisements and the marketing of products for foreign consumers. The word advertisement used here refers to advertisements in the newspapers, those broadcasted through electronic media or companies marketing their products through brochures, flyers, magazines etc. The importance of translation in selling products internationally cannot be undermined. International business is based on communication and communication with foreign customers is only possible through translation. Translations have become an essential requirement because now other than the print media, companies have to advertise on television channels which are telecasted all over the world. Companies also advertise their products and campaign through social media, setting up their company’s website and also by publishing weekly or monthly journals in the way of publicizing their brand’s name. But they design all these advertisements, by keeping their foreign clients in mind. Companies who do business internationally, get their advertisements translated in other languages as well. In this regard, translation companies with a good track record like The Marketing Analysts Translation Services can assist you. Here we stress on the importance of choosing a reputed translation agency because your advertisements can make or break the image of your company. A translation gone wrong can ruin all your hard work and can easily shatter your company’s image in the eyes of your customers. Remember, that the translation of your advertisement is going to carry through the message to your foreign client. This means that here you will require something more than the mere translation of your product’s advertisement. Your translator will have to adapt the ad depending upon who is going to be your target audience. This can also be called the localization of your publicizing campaign. Advertising translations are now required more often because companies have to use all means of communication including newspapers, print; electronic and social media to compete with other companies, remarked an analyst from The Marketing Analysts Translation Service Company. Your certified translation company will be on the back foot if you will not employ all these means to run ads. On each and every step, you will need language translators to translate your material for you.